Superior Roofing specializes in roofing in the Munising, Marquette, Escanaba, Michigan area (All of Central Upper Peninsula of Michigan) . Whether it’s metal roofing, asphalt roofing or flat roofing, we provide the highest quality roof installation and craftmanship available. Along with having many years experience in residential and commercial roofing , Superior Roofing uses only the best roofing products backed by great warranties in the industry. Because we consistently provide our customers with outstanding roofing products and services at competitive pricing, we have earned many honors, such as Angie’s Super Service Award, and the prestigious Owens Corning Platinum Preferred Contractor Certification. 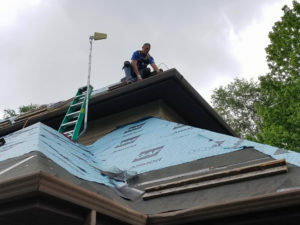 Our roofing installers set us apart from other roofing companies. By following our well-defined systems, in place to insure consistent installation procedures, we insure quality work on every job. Superior Roof specializes in the installation of Versico EPDM and TPO single-ply roofing membranes.